We are a month into the new year and excited to say that many of residents have been place in a new loving home. We continue to welcome new teddies to the shelter with hopes of placing them with that special family. 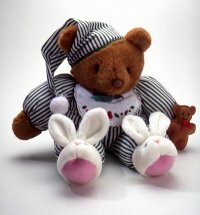 So be sure to add theteddybearshelter.com to your favorites, and keep a eye out on the new arrivals. You never know, we may have your long lost lovie/teddy bear residing at our shelter.